People who travel on a frequent basis probably already know the importance of a currency converter app, where as people who don’t travel a lot or not at all may find it completely useless. Today in the modern era of Technology, this is not the case as many users have become accustomed to Internet shopping and usually have to pay in foreign currency when ordering online from a store based in foreign country. Converting currencies has become a common practise, whether buying a souvenir for home or a cool new shirt with a french monogram from the Internet. Thanks to the many currency converter apps and tools available on the Internet to help you, you do not need to be a pure mathematician in order to convert currency. Although due to the large variety available, it’s tricky deciding on what to currency converter app to use. It all depends on you and your preferences. Some people prefer to Google and some like to use Apps to convert Currency instantly without any hassle. If you have a smartphone and travel or do business on a regular basis, it’s recommended to install a currency converter app to save yourself from the torture of having to having to wait for your browser to load and then googling the currency rates, which can be time consuming. 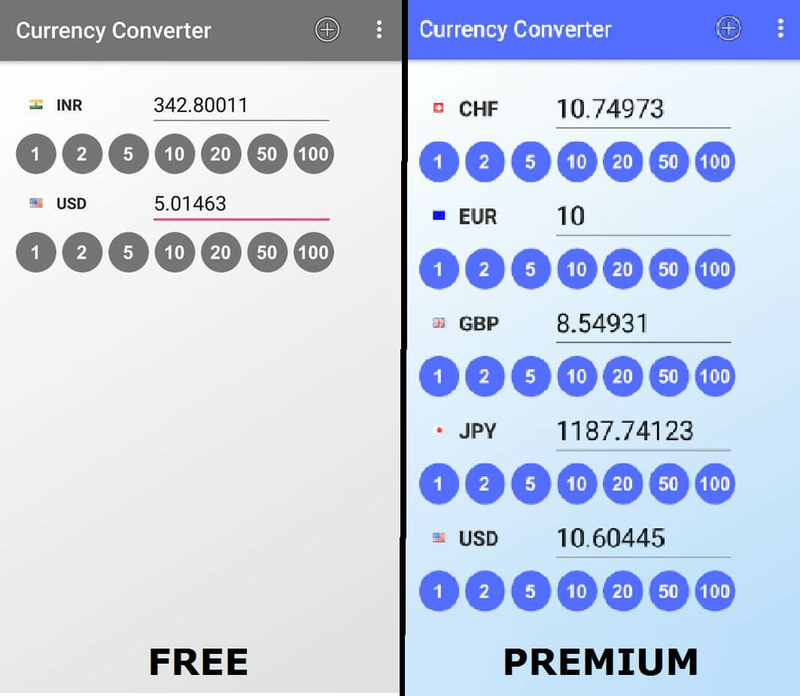 ​I’d like to introduce a Delightfully Easy to Use Currency Converter App called ” Currency Converter ” by Amdoren, available exclusively for FREE on the Google Playstore (click here to download), is a user friendly and clear currency converter app that supports over 150 currencies. 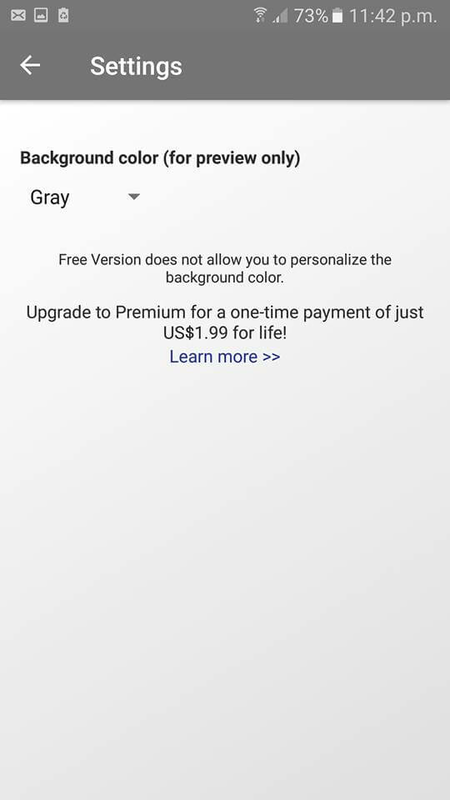 Although this App requires having WiFi or Data Connection enabled, what’s best about this app is the fact that it is completely ad free and doesn’t ask for special permissions during installation, as we are looking for information here. The last thing you’d want is a series of Adverts blocking your information. As soon as you install this App, all you’ve to do is add two currencies and input your amount to convert or can simply tap on the display amount for a quick currency conversion. ​Unfortunately, if you’re a free user – you can only add upto 2 currencies and currency exchange rates are updated after every 12 hours, you can remove these limitations by upgrading to the premium version by a ONE time payment of $1.99, which is cheap as you will have to pay only once, unlike other Apps which normally ask for Monthly subscriptions. ​The advantage of the Premium version is that you won’t have to wait a large amount of time for the currency exchange rates to update, as in premium version the rates update on a hourly basis. Apart from that, the Premium version also allows you to personalize the background color and shows upto 5 currencies. ​No matter whether you are a businessman, traveller or a shopaholic, if you prefer a decent and easy to use interface that doesn’t hide away relevant information with ads and gives you what you want with under 5 presses, this is the App for you. For more information, you can visit their website by clicking here.